If you are looking for more romantic mood with your partner in Taipei then, you should make a short trip to Lover Bridge at Tamsui Fisherman's Wharf. It is situated at Tamsui District, New Taipei City which takes about an hour and a half by public transportation from Taipei 101 Tower. 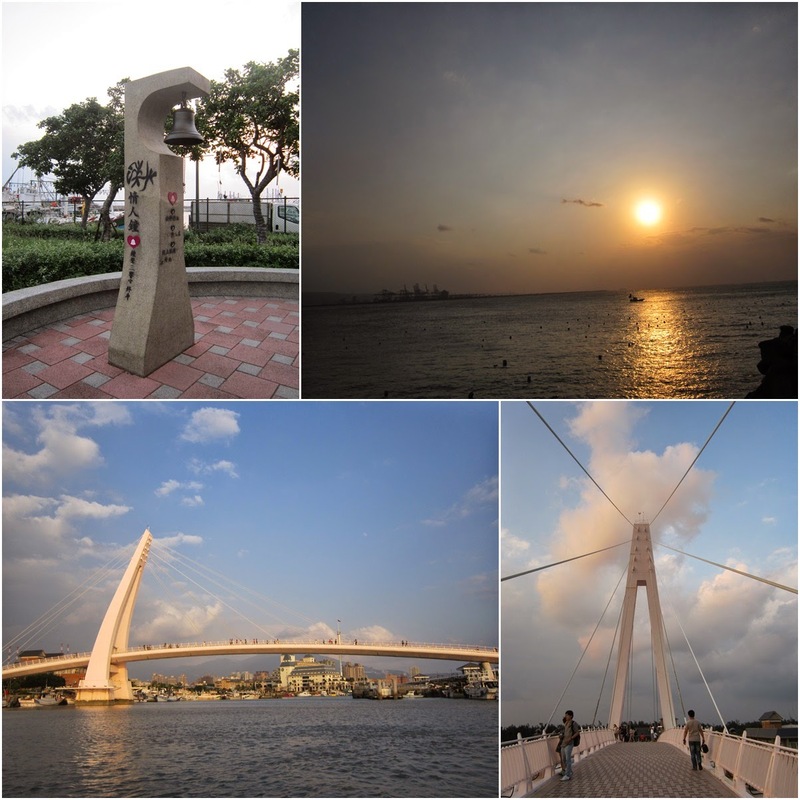 The Lover Bridge is a popular attraction for an evening stroll with your partner and family members while watching beautiful sunset and Tamsui river at Taipei, Taiwan. After the evening walk at Lover Bridge, you can try the fresh seafood at the nearby Tamsui Fisherman's Wharf. Tamsui is the fishing port in the Northern of Taiwan but bear in mind, fresh seafood served at restaurants aren't cheap. If you are looking for a budget meal then, take a ride to Shilin Night Market in the heart of Taipei city. 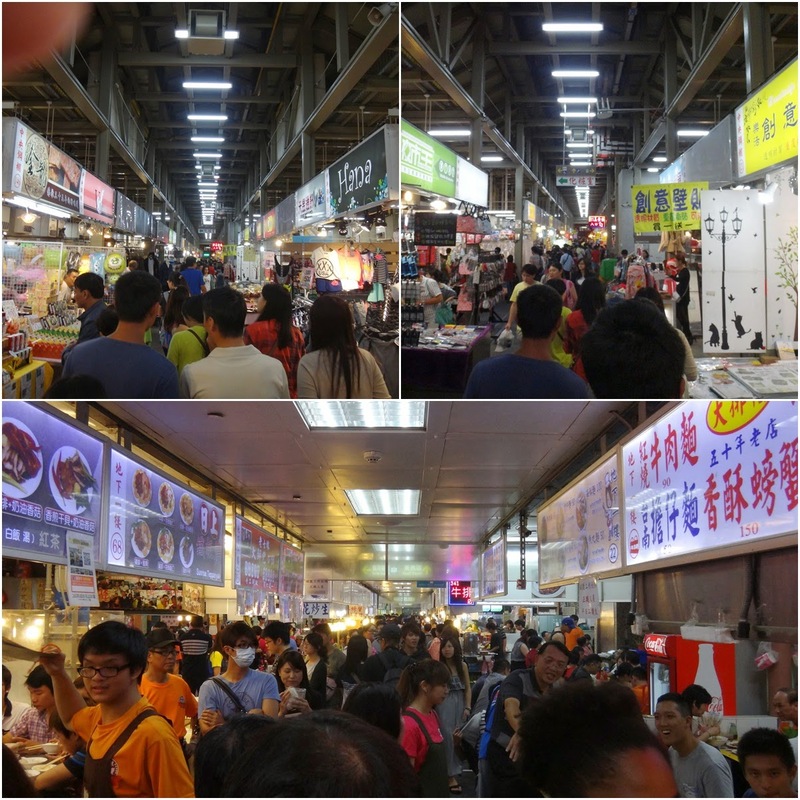 Shilin Night Market is the largest and most famous night market in Taipei city. Most of the night markets in Taiwan open their stalls in the evening and close by midnight every day. You will be shocked at the huge crowds during dinner hours between 6pm to 10pm every day. At the night market, you can find all kinds of snacks, cheap food, all kinds of merchandise products including souvenirs and fashionable clothing from small vendors along the streets and in small stores. As soon as you step out from the MRT subway station, you will find dozens of snacks, food and all kinds of merchandise stalls set up along the streets before reaching the Shilin Night Market food court. 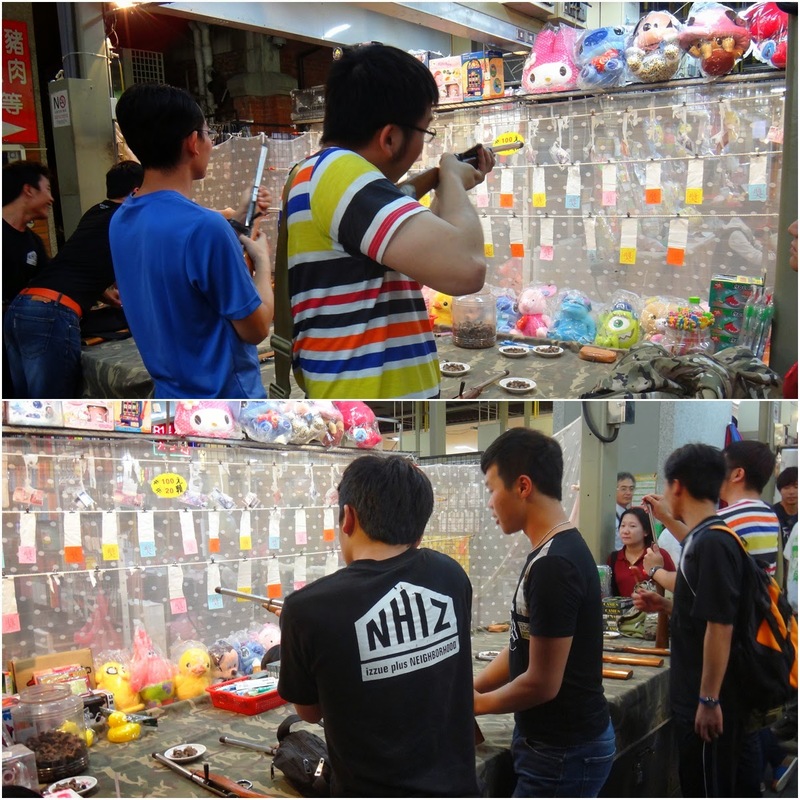 You will be amazed by various kinds of mini arcades at the vendor stalls as well as at the food court. You can find more fashionable clothing, shoes and handbags located behind the Shilin Night Market food court. It is a long narrow street with stores on both sides selling fashionable clothing, shoes and bags. Take Taipei Metro Tamsui Line (red MRT subway line) to Tamsui Station and then transfer to Red Bus no. 26, 836, or 837. Take Taipei Metro Tamsui Line (red MRT subway line) to Jiantan Station and leave the station by Exit 1.